Launched in early August, the National Trade Policy (NTP) 2017-32 sets out guidelines for the country’s trading future, with a strategic implementation plan, currently in draft form, set to follow. Commenting at the launch of the NTP, Charles Abel, deputy prime minister, said that future trade policy would focus on securing market access for local products through the signing of free trade agreements with countries that welcomed the participation of PNG businesses. Under the NTP, PNG will set out to establish a policy framework and clear vision aimed at steering the country towards a competitive, export-driven economy, built on and supported by an expanding domestic market. To that end, bolstering support for workers and homegrown businesses, especially small and medium-sized enterprises, is at the heart of the NTP. Coordination between state agencies and exporters is expected to be stepped up, while efforts to improve the processes involved in facilitating trade will be prioritised. In a sign that PNG plans to adopt a tougher stance where it deems necessary, the government announced the immediate suspension of its import tariff reduction programme when giving details of the NTP. The programme was originally introduced in 1999, with the aim of raising standards among local firms by exposing them to greater levels of international competition. Abel said the government would use its discretionary powers when negotiating trade agreements to ensure they were fair to PNG. PNG’s shift in trade policy was evident when the government said in August that it had decided against signing the Pacific Agreement on Closer Economic Relations (PACER) Plus treaty. Under the agreement, signatories will gradually phase out tariffs on imports, matching the duty-free access they have to Australian and New Zealand markets. Explaining its decision, PNG’s government said it had concluded the country would be better served by strengthening bilateral trade ties and retaining the option of tariff protection for the local economy. Critics of PACER Plus believe it to be skewed in favour of Australia and New Zealand due to the lowering of tariffs on products from these two countries. Promised investments and incentives, they claim, fail to offset the loss of tariff revenue and higher competition for local producers. PNG will pursue alternative arrangements with Australia and New Zealand under the new NTP, Abel said, adding that such a process would result in direct and indirect benefits in terms of foreign direct investment, capital inflows, export earnings and job creation. The NTP is expected to play a key role in helping the country reduce its reliance on extractive industries, according to Richard Maru, minister for national planning and monitoring. 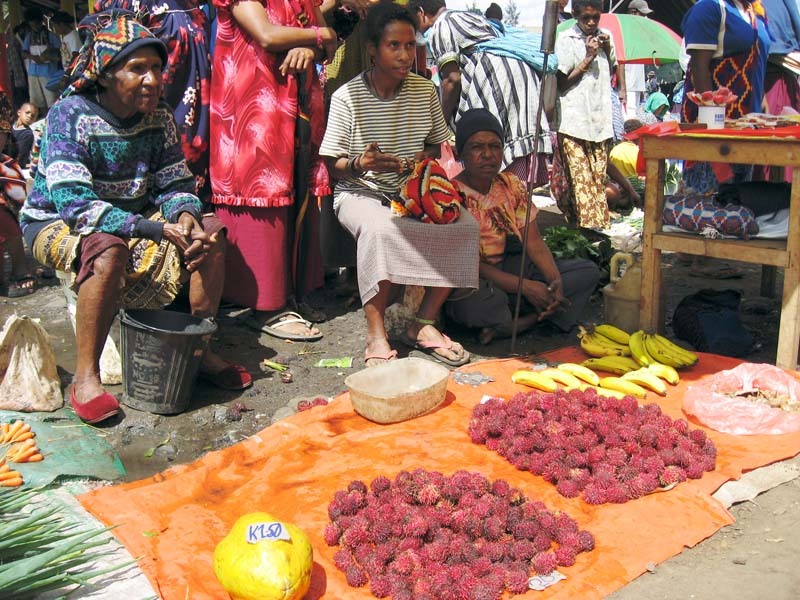 PNG is keen to broaden its trading base. The country recorded a healthy trade surplus last year, according to IMF data, with exports totalling $8.3bn, against imports of $3bn. However, outward-bound shipments were heavily weighted in favour of hydrocarbons and minerals, which, accounted for 68.1% of the total. Maru, who assisted in developing the NTP in his former role as minister for trade, commerce and industry, is confident that the new policy will help insulate PNG’s economy against fluctuations in international markets and boost overall performance. “The trade policy is therefore the ongoing government’s declaration of more autonomy and control over international trade matters to ensure that PNG businesses and PNG workers maintain an equal and fair opportunity in the global market,” he said. One of the aims of the NTP is to streamline trade procedures and speed up the movement of goods and services. PNG ranked 119th out of 190 countries surveyed in the World Bank’s “Doing Business 2017” report, but placed 164th in terms of trading across borders. According to the report, documentary and border compliance procedures for exports from PNG take around 96 and 42 hours to complete, respectively. Processes for imports are even lengthier, at 120 and 72 hours. In a separate assessment, PNG ranked fourth in the Pacific region in the 2017 UN Regional Commission’s survey on trade facilitation and paperless trade, behind Fiji, Vanuatu and Tonga, despite having far higher levels of international trade. To support the NTP, the government has said agencies facilitating trade will modernise operations, cut red tape and reduce the cost of trading.